Powered by Android Wear, the Huawei Watch represents the next evolutionary step for the brand in terms of wearable technology. “This is the first smartwatch in the Huawei wearable family and is also the first watch on the market that truly bridges the gap between fashion and technology. As part of our expanding line of premium wearable products, the Huawei Watch was designed and created to enhance and be part of the consumer’s everyday lives. It is our response to consumers requests who are looking for a smartwatch that combines timeless design and truly usable features,” says Charles Wu, country manager of Huawei’s consumer business group. Designed by a team of experienced watch designers that have a rich history in creating fashionable and timeless watches, the attention-to-detail becomes apparent upon first glance with its full circle “swiss inspired” design. The quality of materials used all around puts elevates the Huawei Watch in another category of class. Made of more than 130 components, the Huawei Watch has all the traditional elements of a classic watch, including a crown, frame and hinge built from high-quality and scratch resistant cold-forged stainless steel making it 40 percent harder. The polished 42mm stainless steel body comes in at 11.3mm thick, which makes it slim and very comfortable to wear. The body of the watch is also both corrosion and scratch-resistant. Unlike most regular watches, the Huawei Watch places its crown at the intuitive 2 o’clock press button, offering the highest levels of control and comfort to the user. 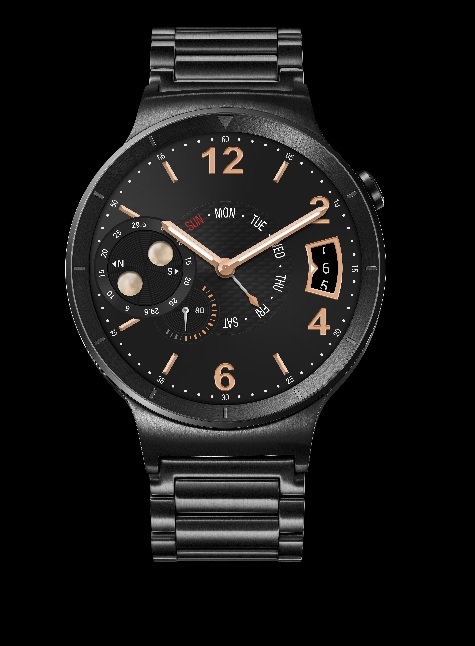 The Huawei Watch has a display to be reckoned with boasting of a sparkling AMOLED 1.4-inch display at 400 x 400 pixels resolution in 286 ppi at a 10,000:1 high contrast ratio, making it the most vibrant Android Wear smartwatch in the world. The high-density display makes images look crisp and full of life in all viewing angles. Users can also choose from more than 40 unique watch faces, including a full range of watch straps made from different materials. The Huawei watch features a range of rose gold, stainless steel and black frames to choose from, as well as a variety of bespoke watch face designs, across a range of classic, luxury, business, feminine, modern and simple aesthetics. The choice of straps includes stainless steel mesh, stainless steel links, rose gold, and black-plated stainless steel links, and brown and black leather. Easy to change, they will fit any watch strap with 18mm width giving you countless customization options. 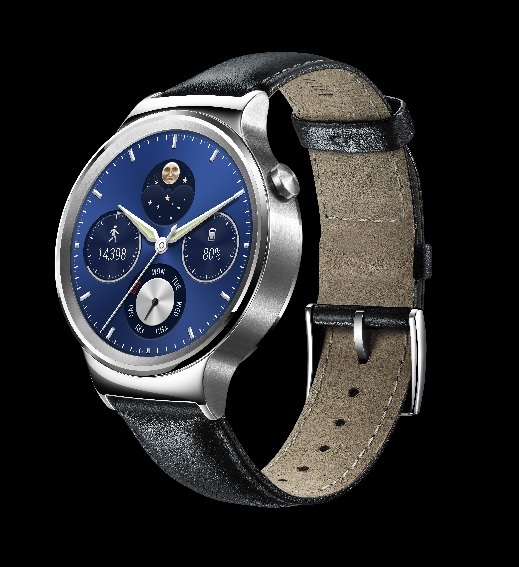 The Huawei watch is compatible with smartphones running Android 4.3 or higher, and is powered by a Qualcomm 1.2GHz processor for optimal performance. It also includes 4GB of storage, 512MB of RAM and Bluetooth 4.1 support. More than just a fashion statement the Huawei watch is also perfect for the sports enthusiast, or just those interested in tracking fitness levels. It features a heart rate monitor sensor, which can accurately measure heart rates. The sensor protrudes slightly for better skin contact and greater accuracy. With its 6-Axis motion sensor, gyroscope and accelerometer the Huawei watch can detect and track, in real-time, if a user is walking, running, biking, hiking or sleeping. Specifically, users can monitor everything from the number of calories burned, to heart rate, climbing height, steps taken, and distance travelled. 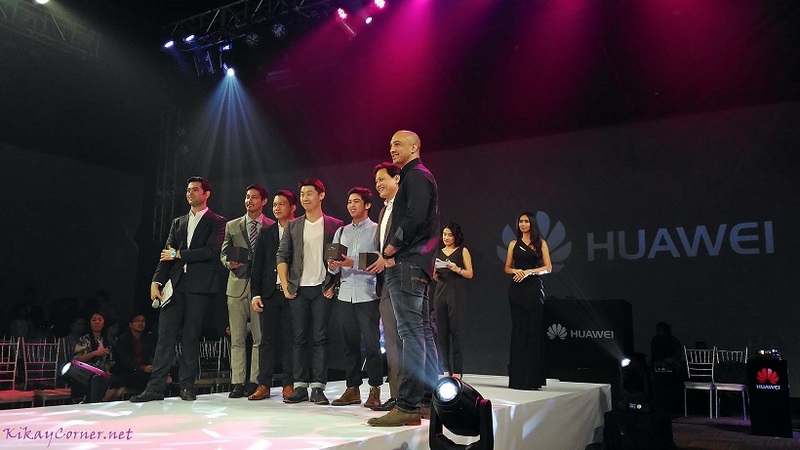 During the launch, Huawei also recognized some gentlemen and awarded each of them them with no less than the ultra stylish Huawei Smartwatch. 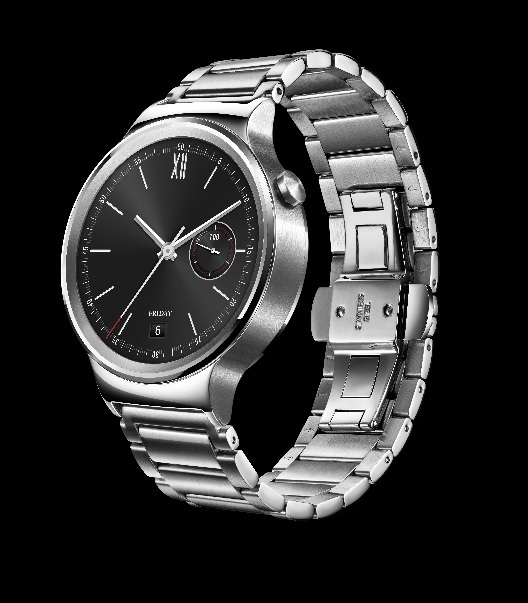 The Huawei Watch Classic retails for PhP19,990.00 while Huawei Watch Active retails for PhP 23,990.00. Both models come with a 2-year warranty. The Huawei Watch will be available starting December 10 at Huawei Experience Store and brand shops, and online via Zalora.